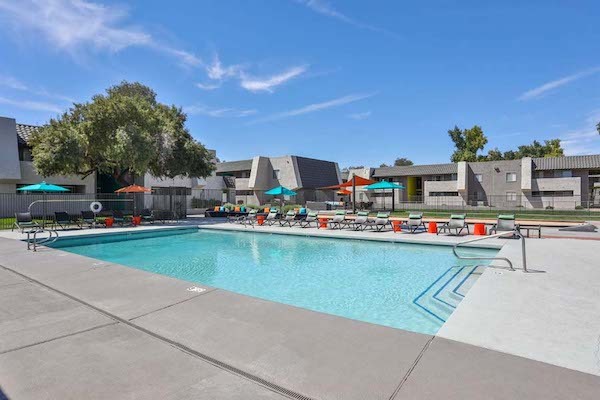 LOS ANGELES - Dec. 19, 2018 - PRLog -- TruAmerica Multifamily, in joint venture with an institutional capital partner, has acquired a two-property, 472-unit apartment portfolio in Tempe, AZ for $67.3 million increasing its local portfolio to more than 2,400 units. "We continue to be net buyers in Phoenix, and Tempe in particular," said TruAmerica Director of Acquisitions Chris MacLeod. "Nearly six out of 10 residents in Tempe are renters making it the highest propensity to rent-vs-own submarket in Arizona. Despite the robust population and job growth, not much product has been added to the inventory. What has been built, is higher priced mid- and high-rise development, out of the reach of the majority of the area's renter population. This has created a severe supply/demand imbalance and an extremely competitive investment environment. In the end, it was our local relationships and reputation for execution that was key to acquiring the portfolio," said MacLeod. The portfolio is comprised of 276-unit Highland Park and 196-unit Park View, located within a block of one another near the I-10 and Baseline Road, one of the major east/west arterials in Tempe. Each low-density garden style development was built in the early 1980s and feature one-, two- and three-bedroom apartment homes. Each community is highly amenitized with resort style pools, fitness centers, clubhouses and recreational areas. The properties are within a 20-minute commute from three major employment hubs: Sky Harbor, Downtown Tempe, and Papago, which accounted for more than 50 percent of the job growth experienced by the Phoenix metro from 2017 to 2018. With the majority of apartment units still in their original condition, Highland Park and Park View represent a strong value-add opportunity for TruAmerica. TruAmerica will initiate a significant capital improvement program across the portfolio including upgrading apartment interiors, renovating all community amenities and refreshing exteriors and landscaping to meet the demands of today's renter. The acquisition was leveraged with favorable financing through Freddie Mac's Select Sponsor Program originated by the CBRE Capital Markets team led by Vice Chairman Brian Eisendrath. Tyler Anderson, Sean Cunningham, Asher Gunter and Matt Pesch from CBRE's Phoenix office brokered the transaction. TruAmerica Multifamily is a vertically integrated, value-add multifamily investment firm based in Los Angeles. Founded in July 2013 as a joint venture between Robert Hart and The Guardian Life Insurance Company of America, TruAmerica has been one of the country's most active multifamily investors and manages an $8.2 billion portfolio of approximately 38,000 units across prime locations throughout Northern and Southern California, Washington, Oregon, Colorado, Arizona, Nevada, Utah, Maryland and Florida. For more information on TruAmerica Multifamily, visit http://www.truamerica.com or call (424) 325-2750.